Home / Fitness / Flex Belt review: simple and easy stomach toning (in 6 weeks)? In my recent post about electrical muscle stimulation (EMS) I said the next phase for my training would be to work on my abdominal muscles, to contribute towards building a stronger core. Guess what? I made a start and thought it would be the perfect opportunity to try out and test a specialist product, called the Flex Belt. I’ve read a lot of stuff online about it – and of course, I’ve seen the promo videos. But I wanted to take a closer look myself and make up my own mind. Let’s be frank, who doesn’t love the sound of giving their abs a workout, while sat on the couch watching TV!? In this Flex Belt review, I’m going to reveal exactly what I discovered when I got the product and tried it for myself. What is the Flex Belt? Do you already know what the Flex Belt is? Have you seen the science behind it? 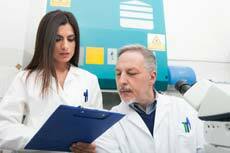 Are you aware of the supporting research? That’s where I discuss my personal experiences and what I learned by using it. 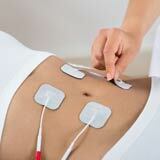 The Flex Belt is an electric muscle stimulator (EMS device) for training the abdominal muscles. It wraps around the waist and has 3 pre-positioned medical-grade gel pads (also known as electrodes) on the inside. Impulses are transmitted from the controller – to the pads – and this makes the muscles contract, mimicking conventional exercise. 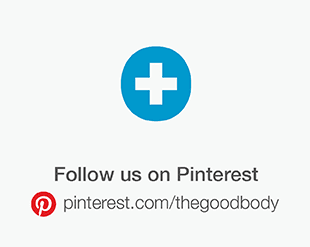 It has been designed to tone, strengthen and firm the abdominal muscles. This particular type of EMS product is commonly known as an ab belt, with the Flex Belt being a high spec. top-of-the-line version. Anybody who has checked out my piece about abdominal toning, will already be acquainted with the product. 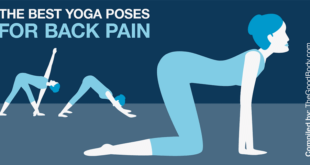 It has become such a popular method because it enables you to work muscles with considerably less stress and strain on the joints and tendons. If you would like to learn more about electric muscle stimulation, you can read this piece I wrote. Because under no circumstances will the FDA clear an electric muscle stimulator for sale in the USA, unless the manufacturer can prove to them that it works, and does exactly what they claim it can do. If a company claims their EMS device tones, strengthens and firms abdominal muscles, they need to prove that to the FDA – before they can get clearance to market it – and sell it to the general public. 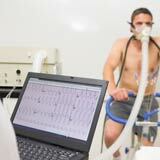 While I was researching this I came across the work of Dr. John P. Porcari, Ph.D., Professor (in Exercise and Sports Science), University of Wisconsin–La Crosse. He’s the Program Director of the Clinical Exercise Physiology (CEP) program and also the Executive Director of the La Crosse Exercise and Health Program. I saw some of Porcari’s studies into the Flex Belt (which I’ll come onto in a minute). His findings also back up the claims made by the manufacturer, which have been rubber-stamped by the FDA. Still, I wanted to do some digging – and find out exactly who he is – and what makes him the best-qualified person for this. And after some deeper, more creative searching (in places like academic journals, university websites, specialist magazines), I discovered more about his professional background and credentials. The study he conducted in the Journal of Sports Science and Medicine (in 2005) monitored a group who used the belt five times per week, 20-40 minutes per session, for eight weeks. The results probably can be attributed to the strength of the electrically induced muscle contractions made possible by the quality of the electrodes utilized in the belt system, as well as the stimulator itself. If you are not completely satisfied, we ask you to take advantage of our 60-day money back guarantee. You can read more about it at the bottom of this page on their site. What they’re effectively saying here is they’re so confident you’re going to love their product that you can give it a try, and see what it can do for you. I really do love this, the best thing about it is it makes it a totally risk free purchase. 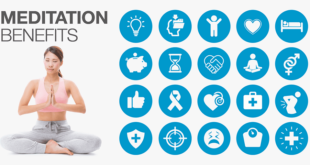 Individuals who are rehabilitating from injury, surgery, etc. 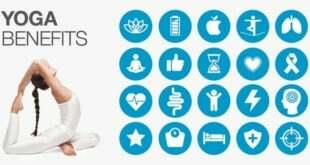 Have a bad back, have any serious illness or injury not mentioned in the guide, have recently undergone a surgical procedure, take insulin for diabetes, want to use it on a young child, suffer from muscle or joint problems or want to use it as part of a rehabilitation program. 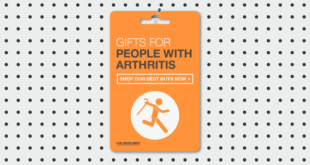 The FDA has cleared it as a class II medical device for direct to consumer sales. EMS technology has been used by the medical community for decades now. 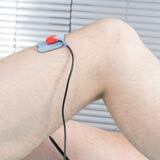 One of the most common uses for EMS is by physical therapists, for help with muscle re-education. That being said, there are certain situations where individuals shouldn’t use EMS. *The manual contains lists of “contra-indications, warnings & precautions”. If you’re even the slightest bit unsure of whether it’s suitable for you, check with a medical professional first. I’m not going to go into how to use one of these machines here and create a list of dos and don’ts – because it goes without saying that you must always read the instructions and any other accompanying documentation – before operating any EMS device for the first time. One final point on safety is a general one about electronic ab belts. As I mentioned earlier in this section, the Flex Belt has been cleared by the FDA, however, there are many others that keep popping up online – on marketplaces like Amazon and eBay – that don’t have clearance. Screenshot from the FDA website outlining why you should select an electrical muscle stimulator that is legally marketed according to FDA regulations. This screenshot was taken on March 22, 2016. To check for the most up-to-date information you can visit that page. So if you do ever decide to go ahead and purchase one, check it’s FDA cleared before handing your cash over. 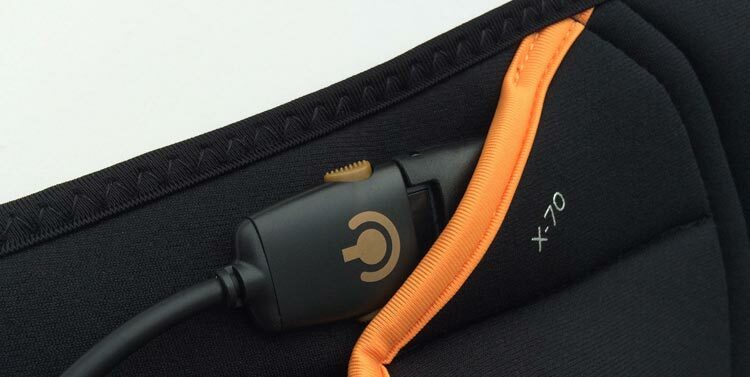 The brand behind the Flex Belt is Slendertone, a company that belongs to Bio-Medical Research (BMR) Ltd.
BMR manufacture electrical stimulation products of medical device quality, supported by strong, clinical evidence and subjected to controlled product trials. In my opinion, it’s good to know a bit about the background and history of the manufacturer. There are a number of badly made, cheap ab belts available online – from companies I’ve never heard of before. It wouldn’t surprise me if there were even counterfeits knocking about as well. Not so long ago, four companies (who made toning belts) were charged by the Federal Trade Commission for making false promises about their devices. They ended up having to paying $12 million in settlements. I wouldn’t dream of going anywhere near such a product unless I was 100% confident that it was produced by a credible and trustworthy company, like BMR. It’s just not worth the risk when it involves your health and wellbeing. If you’ve already done some research and taken a look at other ab belts, it’s likely you’ll have seen Slendertone System Abs. While the controller might look the same, it doesn’t have the same specification (programs, intensity levels, etc.) and capabilities as this top-of-the-line device. I’m going to come onto this in a minute and explain why it matters. The controller has 10 toning programs to choose from, with the concept being that you start on P1 and work your way up. P1 is a basic program and is the first one you will use when you start your training. As you work your way through the programs they become more challenging and make your muscles work harder. 10 plateau busting programs is how the manufacturer describes it. One of the things I really like about this particular device is that it has more programs than other ab belts. These extra programs come in handy because the body gets used to doing to the same thing, over and over again. For example, if you go to the gym to work on a resistance training program and do the same thing each time, after a while your body is going to get used to it. Eventually, you will plateau and this workout will have very little impact. 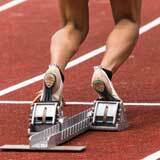 To avoid this, people add variety and make regular changes to their training program. This regular practice of changing things is a technique called muscle confusion. 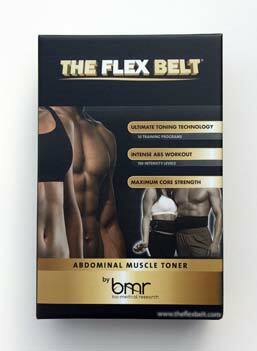 Developed for muscle confusion: The clever thing about the Flex Belt is that it’s been developed for muscle confusion. The designers clearly understand how to work the muscles effectively – and maximize results. So you already have a great deal of variety built-in, as you advance through the programs. On top of that you can eventually look to mix your training up. After the “Expert” ones (numbers 5-7), there is an endurance one (number 8), which lasts 40 minutes and has the longest duration of them all. 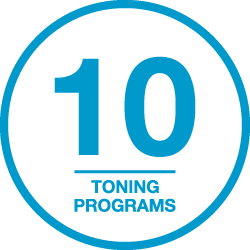 9 and 10 are the bonus programs and they give you short workouts with rapid contractions. There’s such a lot of scope to mix it up yourself and reap the benefits of muscle confusion training. Regular sessions and plenty of variety will ensure you do just that. They recommend that you use the belt five times a week, until you’ve reached your goals and then you can reduce it to two or three times a week thereafter. 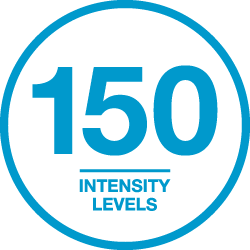 This device has a generous 150 levels of intensity, it’s yet another impressive feature that sets it apart from the rest. Having this level of control over the strength of the impulses is highly desirable, it means you can fine-tune it – until you’ve got it just the way you like it. There’s nothing worse than an EMS device with limited control over the power. Imagine owning an ab belt that had only 10 levels to choose from, level 5 wasn’t strong enough for you but level 6 was a bit too much. With this thing, you’re never going to experience that unwanted problem. I think it would be fair to say I’m highly competent and very experienced when it comes to using EMS devices. Nevertheless, I found this product and controller an absolute doddle to setup and operate. What’s great is the designers have kept it as simple as possible and not added anything that’s difficult or overcomplicated to understand. If you can use a cellphone you’re going to find this thing a breeze. It’s all very straightforward and once you’re ready for your first session, you remove the covers from the pads and position the belt, as described in the instructions. There are just three main buttons required for operation, along with the two sets of up / down arrows (for the intensity control). As you can see from the image below, these are for: on/off, information and programs. Because of the way these are clearly labeled – with symbols – there’s no chance of getting confused about which is which. Its LCD display does what it should – and what’s nice – is the countdown timer is large and very easy to read. To give you an example, when I sit on the couch and use it, I rest the controller next to my leg and can read it without any difficulty, (that’s roughly 25 inches from my eyes). Not bad, hey? The last thing you want with something like this is a small screen and to not able to read the display, unless it’s a couple of inches from your eyes. It’s not a massive screen but that doesn’t matter, for me it’s a plus point – if it was any bigger it would compromise the design of the controller and mean the unit would have to be larger to accommodate it. In turn, that would mean it wouldn’t fit in the pouch (of the belt) or sit perfectly in the palm of your hand. If I’m being picky, the only slight downside I can think of with the screen is that it’s not backlit. However, this isn’t a big deal to me. I’m not planning on using it in pitch black – and so far, I haven’t been in a situation where I’ve needed it to be lit. After using the device a few times I made some notes about what I like most. 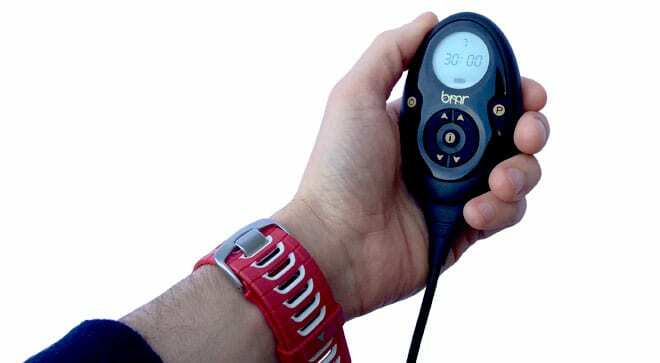 Keylock function is useful – means you won’t accidentally knock the intensity controls or one of the other buttons in the middle of a training session! Best of all – it’s so quick, easy and convenient that there’s absolutely no excuse to not use it! It wasn’t until the second time I used the product that I really came to appreciate the convenience. The first time you use it you have to set it up, and while this is a quick process, it takes a few minutes to read through the instructions, then put the pieces together. When I got the belt out for my second session, I literally peeled the plastic covers off the gel pads and wrapped it round my waist. I was using it within two minutes of picking it up. In terms of the belt itself, this has been well considered and nicely designed. Materials and finishing: I was impressed with the quality of materials – and as you’d expect from a top-of-the-line product, the stitching and finishing is excellent – all very neat. It’s Velcro fit so when you wrap it round your waist, the idea is to get it nice and snug. This is the key to it functioning properly – it ensures the gel pads have good contact with the skin. If you don’t get this part right you’re not going to be getting optimal performance. Unlike many of the cheaper electronic belts, this one has a rechargeable battery. 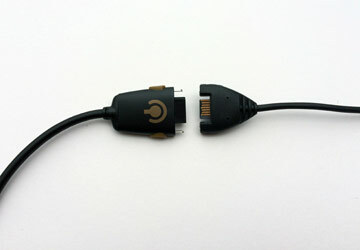 The connector on the controller unit plugs into the mains charger. 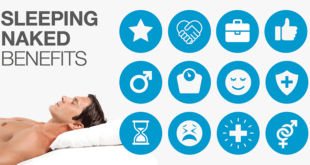 *Programs vary in duration and some involve longer contractions than others. The manufacturer suggests the battery be charged after every three uses, I’m guessing a full battery will have enough charge to run even the longest program (P8 endurance) three times. When I first received my Flex Belt I plugged it into the mains charger and left it for a few hours, to give it a full charge. I used it four times (two on P1 and two on P2) – and after the fourth session, the battery level indicator was down to one bar. That was when I charged it again. It says in the manual it may take 2-3 hours to charge the battery, I’m pretty sure it was quicker than that, although I didn’t actually time it. Since I’ve been progressing (using P3, P4 and P5) I’ve been charging it after every three sessions, it seems to be down to about one bar by then. It may be that I could get another use out of it but the last thing I want is for the battery to run out of juice – midway through a session! That’s the type of problem you’re likely to encounter with a device that’s not rechargeable, a problem that’s easily avoidable with this. At this stage, I can’t comment on long-term battery life as I haven’t owned or used the product for a long enough period. The best way to ensure you don’t run of battery would be to charge it immediately after you’ve finished your session, if it’s running low. That way you’ll find it fully charged and ready to get to work straight away, the next time. 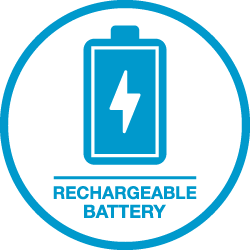 Is that a rechargeable battery takes away the hassle and ongoing expense of having to replace batteries. If you don’t have a rechargeable unit and intend to use your ab belt regularly (like the manufacturer advises to get the best results) you’re going to end up spending a fair bit of money on replacement batteries, plus you’ll keep having to swap the old ones for new ones. To be clear, the belt is designed to fit waist sizes from 24 inches up to 52 inches. The main controller unit is light, compact and ergonomically designed. It fits perfectly in the palm of the hand and is comfortable to hold. 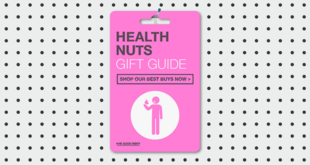 They ship a carrying pouch with the product, which provides a place to keep everything together. You need never miss a session because you can pop it in your bag or case, if you’re going away. 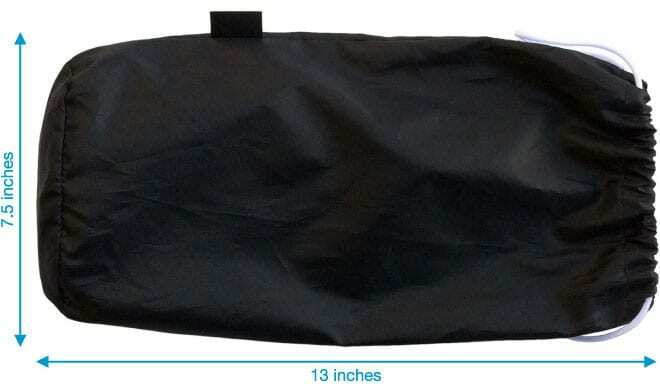 The pouch measures 13 inch (L) by 7 ½ inch (W). 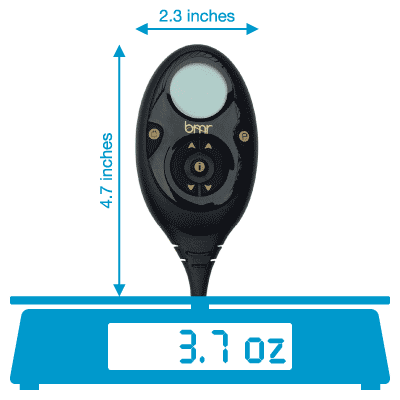 I placed it on the kitchen scale with the belt, controller and charger inside – it weighed a paltry 12.6 oz. Essentially, it’s not going to take up space or weigh your luggage down. It goes without saying that you couldn’t pack a metal frame (for doing ab crunches) in your case! Sometimes when you fall out of a routine it’s hard to get back into it, being able to take this on your travels means there’s no excuses. Because of its compact size, lightness and portability the Flex Belt enables you to keep up with your training program, no matter where in the world you happen to be. The box contents include: the belt, extender, controller, mains charger, set of medical-grade gel pads, carrying case, instruction manual and quick start guide. That’s everything you need to get up and running straight away. I like the quick start guide – it’s clear and concise, just like the instruction manual. 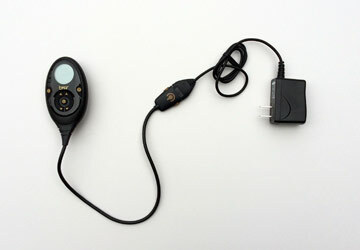 It demonstrates the basic setup of the device and accessories. While the quick start guide does a great job in familiarizing you with the parts and how they fit together / work, it is important to read the instructions and check out the guidelines, before using it for the first time. Your first set of pads is included. A set comprises three pads in total: the large one that goes in the middle of the belt and then the two side ones. The manufacturer recommends you replace your pads every 30 sessions for optimal results. I’ve used my initial set almost 20 times so far and haven’t noticed any deterioration in performance. The only thing I have observed is that they’re not quite as sticky as they were when they were new. That’s the beauty of this product though, the Velcro fit on the belt means you can always get them tight enough against your skin. When you need to replace the pads, the MSRP is $14.99 for a set. You can, however, find some attractive multi-buy savings on the Flex Belt website. If you’d like to see the full price list, click on the “Accessories” link near the top of this page. November 3, 2015: 84 sessions in and the original pads that shipped with mine are still going strong. They are performing just as well as they did the first time I used the belt. The message here: the more care you take with your pads, the longer they’ll last. 11 June, 2015: I’ve completed 53 sessions with the original pads and they’re still working as well as they did brand new. Pressing the Information button twice allows you to review the total number of sessions you’ve completed. I’ve found this a good way to monitor how much use I’m getting out of the pads. That means if there’s any issue within that period they will either replace or repair the belt for you. 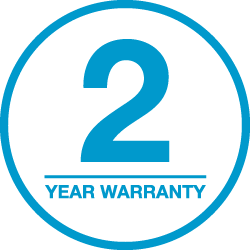 A lot of EMS devices come with a standard one year warranty so this gives you extra peace of mind and provides additional cover (in the unlikely event there is a problem). And let’s not forget, there’s the 60-day money back guarantee, which I discussed earlier in the review. On the whole, consumer ratings are strong. 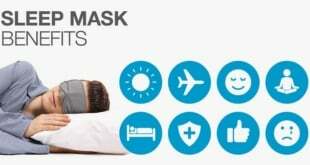 At the time of updating this piece (23 November, 2015), the product’s listing on Amazon had over 500 customer reviews, which suggests this is a popular product. I did read some reviewers complaining and saying the product doesn’t work properly. I can tell you for a fact, the one I have here works just fine. When I read reviews where people say things like, “the pads didn’t stick to my skin”, I know this user hasn’t either set the product up correctly or prepared their skin before a session. One of the most important things with any type of electrodes (gel pads) for EMS is to make sure the skin is completely clean and free of any grease or oil. The best way to do this is to take a shower before using it (obviously, dry yourself completely, before using the belt!) If that’s not convenient or you don’t have time, you could use some sort of cleaning wipes (like baby wipes). Don’t forget, the whole idea of the belt is so you can get the gel pads nice and snug against your skin (as this ensures the best stimulation). If the belt isn’t wrapped properly around the waist, it may not work as well as it should. I, myself, would take reports of the gel pads not working – or lasting long – with a grain of salt. My experience of using the product so far is a very positive one. I’ve compiled a list of pros and cons, based on the things I’ve learned and what I believe to be most useful. Multi-task and do other things while you use the belt, like reading, watching TV, cooking, chores, etc. Offers people who struggle with conventional exercise a way to work their abs and obliques – for example, those with joint problems, lower back pain, individuals who are rehabilitating, people with limited mobility, etc. Leaves you with no excuse for not working your abs! The Flex Belt costs $199.99 (that’s the MSRP), making it one of the higher priced ab belts. That’s to be expected though, it’s top-of-the-line and has the best feature-set out of all the belts on the market. Naturally: with best in class, the initial investment is going to be higher. In terms of running costs, it’s only the gel pads you really need to think about (remember, the controller is rechargeable). In the section about pads, I said the manufacturer advises that they be replaced every 30 uses for optimal results. They suggest you use the belt daily (taking a couple of rest days each week) and you should see results in 4-8 weeks. After this period they recommend you use it 2-3 times a week to maintain the result. We’re going to take averages for the purpose of this calculation. We’ll forget about the initial period of 4-8 weeks because the first (included) set should get you through this. Remember, a set of pads should last you approximately 30 uses. 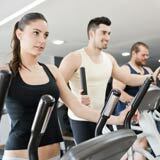 Let’s assume you’re going to have 10 sessions a month, which is 2-3 a week. When you consider the battery is rechargeable (no recurring cost) and the price of a year’s supply of pads, you’re looking at as little as $47.99 to run this product, annually. Add to that, the convenience of not having to leave your own home to use it – and it’s not hard to see why people are so attracted to the Flex Belt. If you look at some of the cheaper belts on the market they don’t have rechargeable controllers – because this does – it will cost less to run. I believe, as a consumer – when looking at the price of a product like this – you should be thinking of it as an investment. Once you’ve made the initial purchase you have minimal running costs and the continued benefits it provides. I’ve really enjoyed using the Flex Belt so far and can certainly feel a big difference. I could tell after just a few sessions the muscles were getting stronger. It seems to give them a great workout, every time. If you work your way up the intensity levels you can get that feeling in your muscles, like you’ve done a load of crunches really slowly! 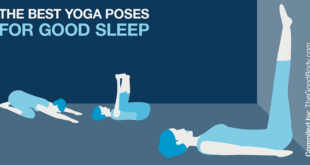 The one thing that pleasantly surprised me though was the relief it has given my lower back. I get quite a bit of back pain (unfortunately), especially in the lumbar region so this added relief was a most welcome by-product. My plan going forward is to further strengthen my core and this type of work with an ab belt can play a big part. When I’ve taken the belt off after a session it seems to have loosened my spine, particularly at the bottom. 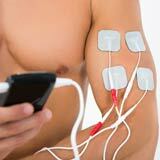 It’s well-known that EMS can be used as a technique to help strengthen muscles, which in turn can reduce and eradicate pain. However, even I was surprised at its pain relieving prowess. If you’ve ready my case study about electric muscle stimulation you’ll know I’m a great advocate of integrating it as part of an overall training program. While my main priority for using the belt is to help strengthen muscles, I’m fully aware that it’s part of an overall strategy. Somebody looking for toned and defined abs but not prepared to do conventional exercise, eat good food and live a healthy lifestyle, can’t expect miracles. 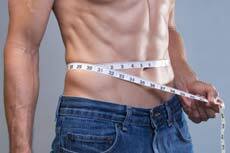 For sure, you can still benefit from using it, however, you can’t expect to eat cake and chips every day, then whack the belt on in the evening and have miracle results! Likelihood is, you’ll need to lose weight and reduce your level of body fat. If on the other hand you intend to use the Flex Belt in combination with a healthy diet and regular exercise you’re going to give yourself the best chance. Overall, I know it works – but it works best when you align it with the rest, the full package: conventional exercise, diet and discipline. But before I wrap up this review, let’s not forget, it’s all relative – and for many, the objective will be different. For cases where people are unable to do conventional exercise, muscle definition isn’t going to be top priority. It’s important to remember that results can be measured in different ways, not just visually. Turn your couch into a gym with the Flex Belt: pick the belt up, peel the covers off the pads, then wrap it round your waist… it really is as simple as that. Within two minutes you can be working your abs, in the comfort of your own home. And what’s more, you can do all this while reading a book, watching your favorite show or even while doing the chores! With the Flex Belt, there’s absolutely no reason or excuse to miss a training session again. Can someone tell me, which one is better, this or the similarly priced Compex Fit 1.0? I understand this one is only for abs, while the Compex can be used on other areas (which hints the Compex is better), but the similar price makes me think the Compex may be inferior in some way. 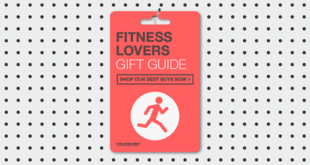 Or is it just that Slendertone is overpriced by comparison? Let me do my best to explain the differences and where one might be more suitable than the other. An abdominal toning belt (like the Flex Belt / Slendertone range) provides convenience. If you want EMS solely for use on your abs and obliques you may find an ab belt to be more useful. Because of the way the Flex Belt has been designed (pad positions and programs) it works all of the abdominal muscles and obliques. It’s quick and easy to use each time because the pads are already in the correct position. You only need to peel the covers off them and wrap it around your waist. So it’s going to be down to where your priorities lie and what’s most important to you. Let me know if I can be of anymore help. *For any readers who aren’t aware: this model is only available in certain countries (not the USA or Canada).